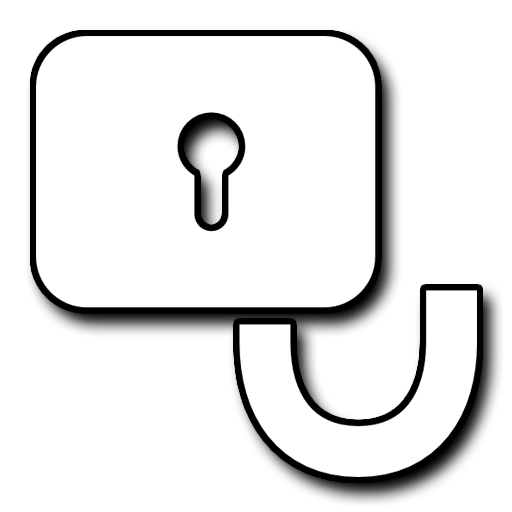 Now you can easily BypassFRP Lock Xiaomi MiUI9 by March 2018 the latest method of your device specification, In case you’ve your Xiaomi device, MIUI9, or MIUI 9.5 then you can follow this method, you can make your device MIUI version Looking to check with Google will use the “talkback method” to bypass google accounts. 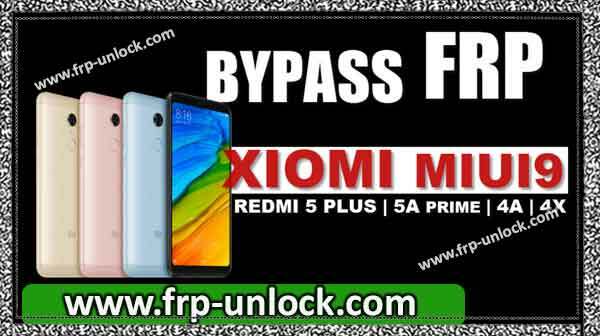 FRP lock bypass to Xiaomi MIUI9 This method is only the owner of the device. Note: This method has been successfully tested with Redmi 5 Plus, Android 7.1.2, MIUI 9.5. Step: Switch is your Xiaomi device. Step: Back to “Mio 9 Screen” first. Long tap for 20-25 seconds on Xiaomi screen with two fingers until you see the “TalkBack Instructions” Pop-up screen. 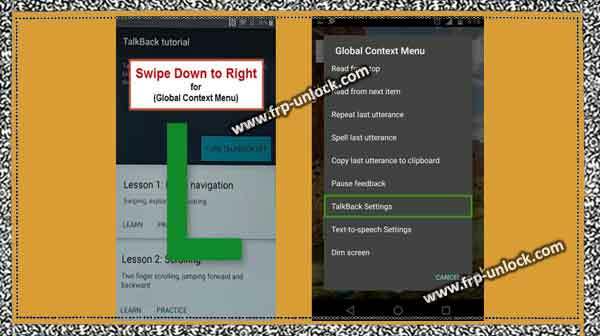 Swipe “L” on the “TalkBack Instructions” screen or right-clicking “Global Context Menu” to bring it. Step: Now, double-tap ” Talkback Settings,“. Step: Disabled “Talkback feature” together with both- (increase the volume +) key, use both-key for a moment, as long as you see “Talkback disabled”. Step: Visit Help and Feedback Start with Voice Voice Access. Tap on “Youtube video play icon”. Step: Then, tap on “watch icon” after you do this you’ll be redirected to the YouTube website. Step: In addition you’ll see “Search bar” at the top of your browser screen. Type “Download BypassFRP Tool” in the search bar. Go to the Relevant Relevant related page results that matches the “Pangu.in” URL. (See (find below screenshot)). After downloading the Finnish, you’ll get a Pop-up bottom of the screen. To Install Laun Top Launcher, tap “Open” from that Pop-up. Step: Now, you’ve another Pop-up for “Installation Block”, tap “Settings,” from the Pop-up window. 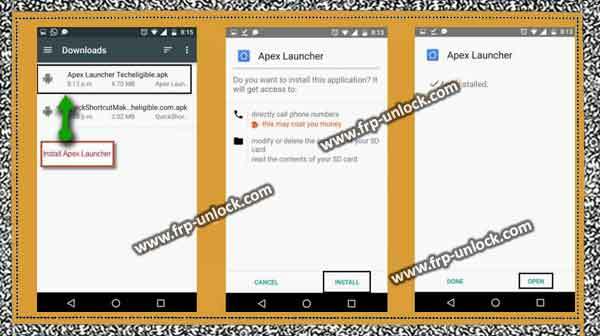 Step: Once downloading the finish go back to “download page”, and then download “Apex Launcher 3.3.3,” you get a Pop-up again at the bottom of your screen, just open the app to “Install” “Will tap on. “Now tap” Install “, then tap” Open “to launch the Apex launcher. Step: Congratulations, you’ve accessed on your Xiaomi Miui9 home screen, but still you need bypass lock FRP Xiaomi MIUI9. About Settings,, go to ➔ Settings,..
Go back to “Settings,“, then tap “Additional Settings,“. Tap “OEM unlock” on Step: and after that you’ll have to get a Pop-up, just tap “Enable” to enable OEM unlock. Go back to “Settings,“, and then re-sure that “OEM unlock” has been successfully enabled to go to “Developer Options”. Restart the Xiaomi Miui9 device by pressing the power “Power key”. Step: Now, you can “skip” the screen of Google verification easily. Initial full initial setup, and then add a new Gmail account to your Xiaomi device so that the FRP lock can be passed through the Xiammy MIUI 9. Thanks for watching us, you can ask us a question about this solution in the comments field.